This time of year is so cozy! I used to love going to local coffee shops and treating myself to seasonal lattes. Even before I was diagnosed with diabetes I would ask for half of the pumps of flavor, because I knew that each pump represented a ton of sugar!!! The sugar free drinks at coffee shops are made with chemical sugar substitutes, which make me feel weird (flushed), and really should be avoided. This Low Carb Vegan Peppermint Mocha, served in an espresso cup , tastes sinfully delicious, but the flavor is deceiving…it’s low carb and fairly good for you! I serve my coffee in a small cup, because I can’t handle very much of the acidity or caffeine in it. This drink it simply intended to be a small, comforting taste of the season. If you can handle more coffee, feel free to make more. I’ve read that coffee is actually good for your liver and has some antioxidants in it. Have you tried sipping cocoa yet? I love the powdered mix from Trader Joe’s, and I’m giving you a link for it on Amazon, in case you don’t live next to one. Sipping cocoa is a great option for diabetics and vegans, because it is usually low carb and dairy free. I just add a little extra xylitol for this mocha. Before we get to the recipe for the Low Carb Vegan Mochas I want to invite you to join with others who are making healthy changes, if you haven’t done so already. I’d love to walk alongside you in your journey towards wholeness and health! Jesus said, “I have come that they may have life, and have it to the full!” Freedom from food addictions is part of having a truly full life. 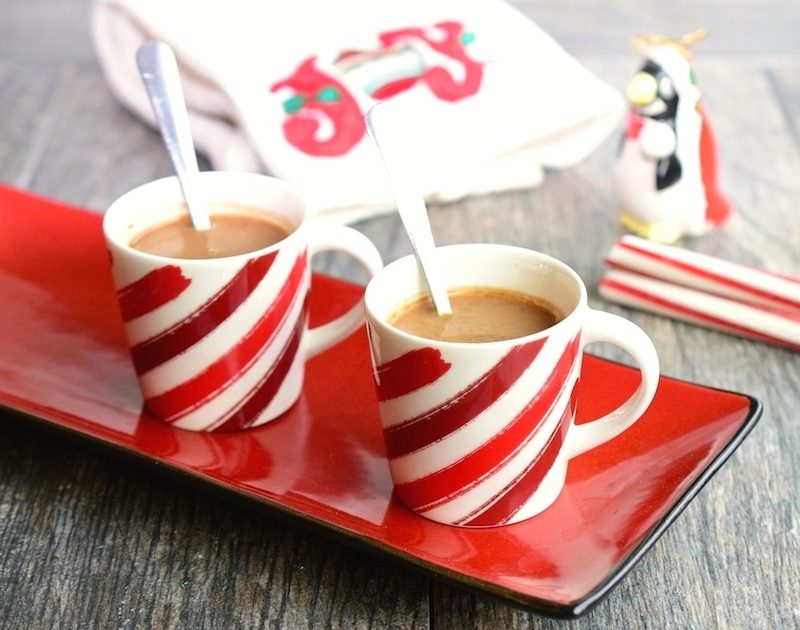 This Low Carb Vegan Peppermint Mocha is a comforting, tasty treat for the holiday season! It's very easy to make, and will leave a smile on your face! Combine all of the ingredients in your small mug and microwave it for 20-30 seconds, stirring after every 10 seconds. Be aware that it may bubble over the top if you don't stop to stir every 10 seconds. Enjoy! One Response to "Low Carb Vegan Peppermint Mocha"
What a lovely festive drink thats actually healthy! No more starbucks for me!